Leena's Place Jibhi offers a garden, as well as accommodation with free Wi-Fi and a kitchenette in Jibhi. A terrace with mountain views is offered in every unit. Guests at the homestay can enjoy a continental breakfast. Rock Top Inn Jibhi is located in Jibhi and has ski-to-door access, water sports facilities and casino. Among the various facilities are an outdoor swimming pool and a ski pass sales point. The inn offers a local restaurant as well as free Wi-Fi. Situated in Jibhi, Whispering woods offers accommodation with free Wi-Fi and a garden. Some units include a dining area and/or a terrace. A vegetarian breakfast is served daily at the property. The homestay offers a children's playground. Shringi Guest House is situated in Jibhi. Some units feature a terrace and/or balcony. A à la carte breakfast is available every morning at the property. Guests can also relax in the garden. Kullu–Manali Airport is 37 km from the property. With mountain views, Wayward In homestay is situated in Jibhi and has a restaurant and a 24-hour front desk. Guests can relax in the garden at the property. Situated in Jibhi, Ishan log huts features accommodation with free Wi-Fi. There is a private bathroom with shower in all units, along with free toiletries and a hair dryer. A vegetarian breakfast is available daily at the homestay. 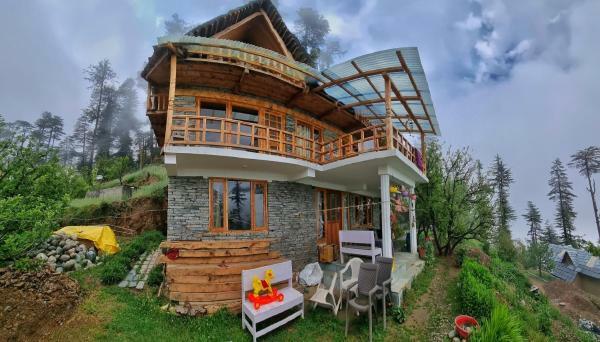 Located in Jibhi in the Himachal Pradesh region, Jibhi Homestead offers accommodation with free Wi-Fi. A balcony with garden views is offered in every unit. A vegetarian breakfast is served each morning at the property. Featuring a garden, Jungle Valley offers accommodation in Jibhi. Complimentary Wi-Fi is featured. A Full English/Irish breakfast is served every morning at the property. The homestay offers a children's playground. With sea views, Anjali Home Stay is set in Jibhi and has a restaurant and a 24-hour front desk. A terrace with mountain views is offered in every unit. 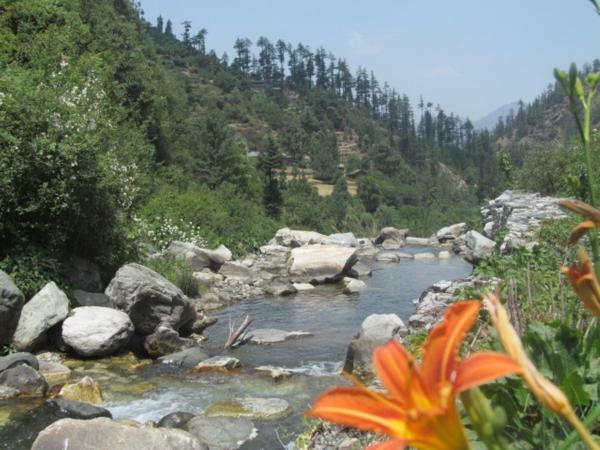 The nearest airport is Kullu–Manali Airport, 37 km from the property. Dev Ganga is located in Jibhi. An American breakfast is available every morning at the property. The nearest airport is Kullu–Manali Airport, 37 km from the property. Located in Jibhi, Apple Tree Cottages offers accommodation with a flat-screen TV. Opening to a balcony with mountain or river views, all units are fitted with a kitchenette with a microwave. A toaster and kettle are also offered. Situated in Jibhi, Crystal mountain jibhi offers accommodation with free Wi-Fi. Some units feature a terrace and/or a balcony with mountain or river views. A continental breakfast is served daily at the property. Featuring a garden, Dev conifers cottages is situated in Jibhi. Among the facilities of this property are a restaurant, a 24-hour front desk and an ATM, along with free Wi-Fi. Each room comes with a balcony. Offering a garden, devganga homestay features accommodation in Jibhi. The homestay offers a terrace. The nearest airport is Kullu–Manali Airport, 37 km from the property. Set in Jibhi, Jalori River touch features free Wi-Fi. Featuring a 24-hour front desk, this property also provides guests with a restaurant. Every room has a balcony with a mountain view. The units at the guest house are fitted with a seating area.